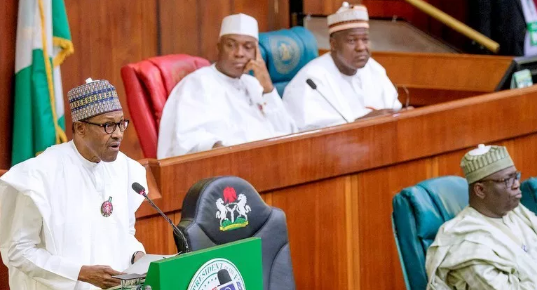 The House of Representatives on Thursday asked President Muhammadu Buhari to appear before it with a view to address Nigerians on the spate of insecurity across the country. The green chamber of the National Assembly said failure by the President to explain the issues raised by the legislative house would confirm the opinion of Nigerians that the administration had failed in its responsibility to protect lives and property of Nigerians. This is part of the resolutions passed at the plenary when the lawmakers unanimously adopted a motion moved by the lawmaker representing a constituency in Benue State, Mark Gbillah. Buhari is expected to make some explanations to Nigerians on “his inability and the inability of his administration, since inception, to declare the killer herdsmen as terrorists, to enable the Armed Forces to take commensurate action against them. “The inability of the Armed Forces under his watch to stop the recurring death of scores of innocent Nigerians annually from systemic attacks by killer herdsmen and alleged bandits, and the gradual occupation of the affected communities by these herdsmen despite countless assurances and statements by him, promising to stop these attacks. “His selective and ineffective responses to the killing of Nigerians by herdsmen, especially when they occur in certain parts of the country like Benue State. The House further resolved to constitute an ad hoc committee to interface with the Presidency regarding the queries, while it would engage with the Minister of Defence, Mansur Dan-Ali; Chief of Defence Staff and service chiefs, state governments and relevant stakeholders. But the acting Inspector-General of Police, Mr Mohammed Adamu, assured travellers that the Abuja-Kaduna Highway was safe for them to use. 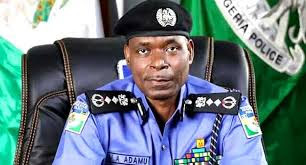 Adamu, who spoke after Thursday’s security meeting, claimed that the dreaded road became safe after security forces had several encounters with suspected kidnappers. The IG said as a result, many kidnappers were either arrested or wounded in gun battles between them and security forces. “I want to assure Nigerians that the Kaduna-Abuja Road is now safe. We have cleared the road; we have arrested a lot of kidnappers and in confrontation with some of them, some were fatally injured. “So, the road is cleared. Our patrol teams, the combined security services that are patrolling the road, are constantly there, 24 hours,” he claimed.